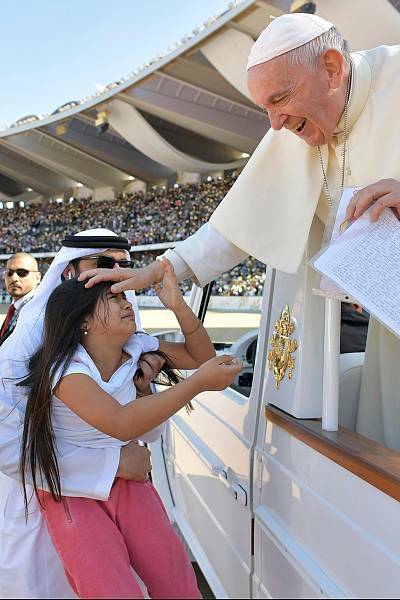 Cheers erupted inside and outside the Zayed Sports City Stadium as Francis arrived and looped through the crowd in his open-sided popemobile, as chants of "Viva il Papa" and "We love you!" echoed from the crowd, estimated to be around 135,000. 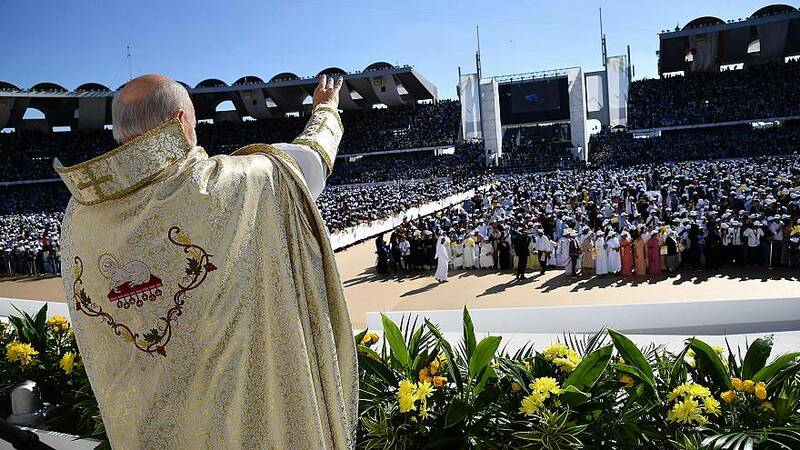 The pontiff's homily was delivered in Italian and translated into Arabic with English subtitles on giant screens. 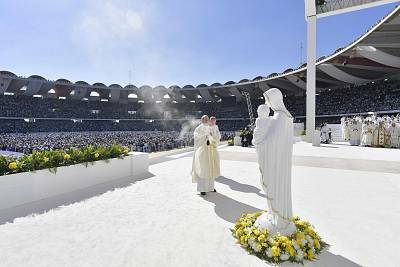 Francis told his flock — many of them poor, manual laborers — that they need not build great "superhuman" works to be faithful. It was a message extolling meekness in a country that is home to the world's biggest skyscraper and is known for its opulence and excess. Francis' visit, 800 years after his peace-loving namesake St. Francis of Assisi visited an Egyptian sultan, marked the culmination of years of Holy See efforts to improve relations with the Muslim world after they hit a low during the papacy of Pope Benedict XVI.